Unfortunately, a lot of the northeast suffered from a large blizzard recently. You might need Union County roofers to replace your damaged roof. The falling trees and debris caused destruction to your neighbors’ homes. You probably suffered too. While a tree falling on the roof is one clear sign you might need some repairs, here are a few more telltale signs that it’s time to get some roof repairs. 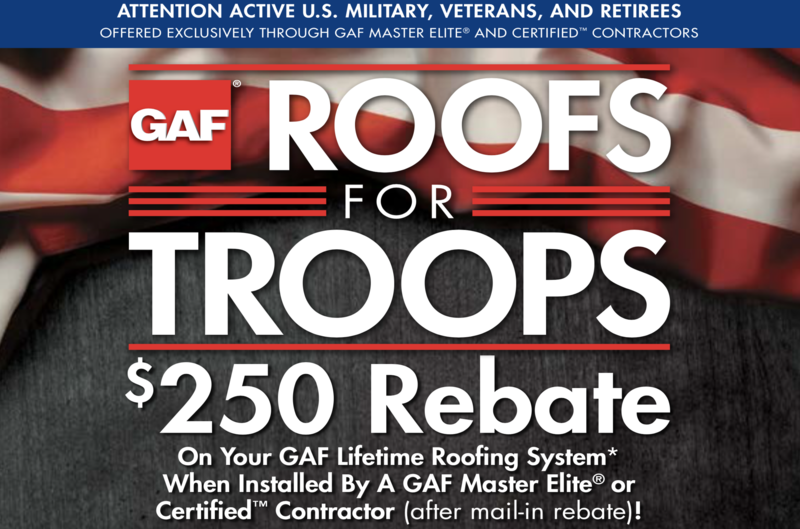 Most experts in the roofing field would say a roof will last 20 to 25 years. If your roof is pushing 20 years old, you may want to inspect it. Each roof is different, and depending on how it was installed, the results could vary. But after the 20 year mark, you want to check on your roof and replace it when it’s needed. If your roof shingles start to curl or buckle, this often means your roof will need replacing. This will be most evident with shingles that get direct sunlight. If you find your shingles are warped or damaged, consider getting them replaced. The problem can only get worse if not addressed. Part of your roof missing is a definite sign it’s been compromised. If you find a large portion of shingles missing in the roof valley, this is a major problem. The roof valley will more than likely receive the largest amount of damage as the melting snow and rain will constantly flow through this area. When shingles are lost in this area, leaks are more likely to appear in your ceiling. If your chimney lacks metal, watertight flashing, you’ll notice problems quickly. When only cement or tar is protecting your chimney, your roof will be compromised faster. A metal flashing system prevents water damage and leaks to your roof and chimney. Consider investing in this to save your home from future suffering. Shingle granules provide the protective covering for your shingles which shield against the sun, fire, and retain the shingle color. Eventually, the granules will fade as a result of the wear and tear your roof receives. Besides from seeing if your roof has lost its color, you can also check your gutters to see if these pieces have gathered into the gutters. When this chipping happens, it’s another sign that your roof needs some replacements. If a roof becomes ineffective, it will quickly retain moisture. If you start to see sunlight stream through the ceiling, this is a sign that your roof is suffering from leaks. By walking onto the roof, you can also tell if the roof feels softer under your feet. This could mean the layer underneath has been weakened by the moisture. Check the ceiling for signs of water stains, and look at your insulation to see if it’s wet. When water gets through, your roof needs help. Whether it’s a large tree, or a few branches that fell from the latest storm, this can cause considerable breaks in your roof. Large amounts of ice, water, and wind can leave your home vulnerable, especially if have an older roof. Have your roof checked if you suspect it sustained damage from the latest blizzard or hurricane. Get it repaired sooner rather than later so you’re prepared for the next weather event. If you think you’re in need of Union County roofers, look no further than Deegan Roofing. Family owned and operated since 1989, our owner personally helps each customer to receive the roofing help they need. We offer honest work at an honest price. To learn more or get an estimate, visit our website or call 908-322-6405 today!